Charles Darwin’s theory of evolution postulated that all life on earth descended from a common ancestor. In Origin of Species, Darwin wrote, “Therefore I should infer from analogy that all the organic beings which have ever lived on this earth have descended from the same one primordial form, into which life was first breathed.” This last universal common ancestor (LUCA), also called the last common ancestor (LCA), was not necessarily the first living being. Rather, it was the most recent ancestor from which all other life that now exists had evolved approximately 3.9 billion years ago, and which now shares its genetic characteristics. There are three major branches of living organisms: the eukaryotes, including plants, animals, protozoa, and all others that have a nucleus; and bacteria and archaea, two branches of organisms that do not have a nucleus. This search for characteristics that would enable us to anoint LUCA has proven to be both elusive and controversial. When the search began, it was assumed that LUCA was a crude, simple mass, but it is now believed that this was a gross oversimplification. In 2010, a formal test was proposed to evaluate the common features a LUCA candidate would have to meet. LUCA was a single-celled organism, with a lipid membrane surrounding that cell. Some of the other features are in the general areas of genetics, biochemistry, energy source, and reproduction. In all living forms, genetic information is encoded in deoxyribonucleic acid (DNA), and the genetic code by which DNA is translated into the production of enzymes and other proteins is almost identical from bacteria to humans. This translation of genetic information provides support for the concept of LUCA, and it appears far less likely that life evolved from multiple ancestors. One of the greatest complications involved in the identification of LUCA is related to gene swapping. Genes have been shown to be able to jump from organism to organism, making it difficult to determine whether the characteristics we are viewing are universal or those characteristics that have moved. SEE ALSO: Origin of Life (c. 4 Billion BCE), Prokaryotes (c. 3.9 Billion BCE), Eukaryotes (c. 2 Billion BCE), Darwin’s Theory of Natural Selection (1859), Deoxyribonucleic Acid (DNA) (1869), Enzymes (1878), Miller-Urey Experiment (1953). The tree of life, an allusion to our common origin, is a metaphor used in theologies and mythologies worldwide. 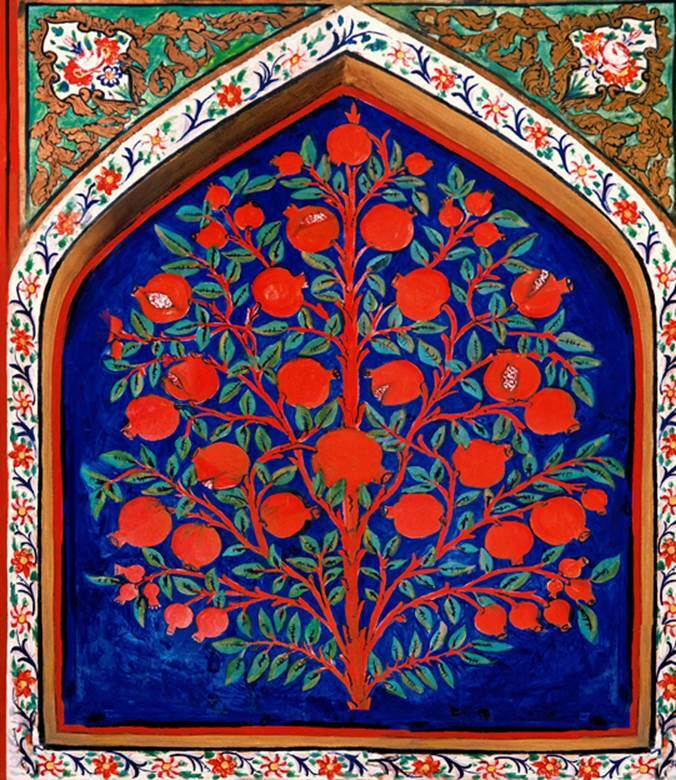 This painting of the tree of life from the Palace of the Shaki Khans (c. 1797) is now on display in the Azerbaijan National Art Museum.